The wedding invites can leave some of us in a never-ending era of indecisiveness. The invites just go like we’re getting hitched, place is this, RSVP by this date and when it is labelled as a specific kind of wedding, semi-formal, casual, beach, elegant, vintage so on and then you realise you have gotten yourself into several days of constant debates on what to wear and what not to wear. Now I personally think we can hit the dance floor looking elegant and classy too. There is no need of wearing the same overrated floral dresses and strappy shoes. Now is the time to change the repetitive trends and stand out in the whole ceremony. In weddings I never point out people who are following the herd, each dress looks likes to be a description of another dress; more like one is the icon picture and another is the example. There are a lot of worthy designer options we have if we get our head out of the tempting flowers and pearls and step into the world of elegant and alluring alternates. 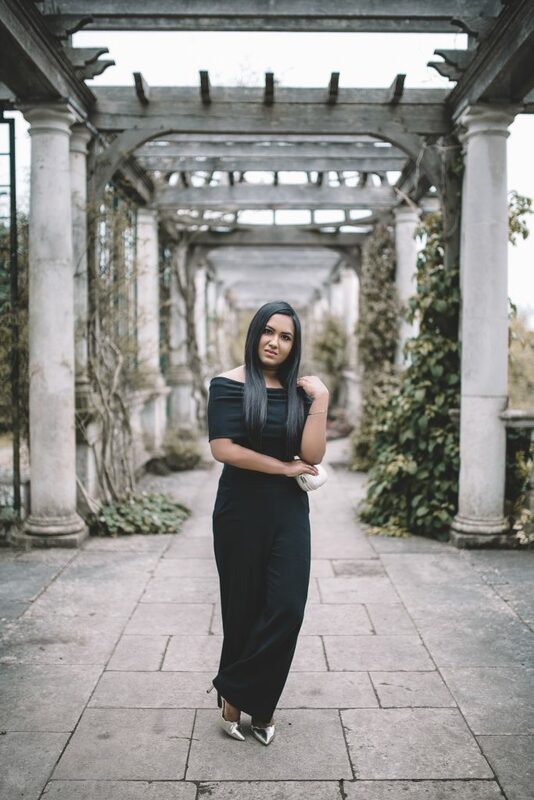 Recently I took part in John Lewis alternative wedding guest campaign where we picked an alternative outfit and were shot by the talented photographer Alex Cameron at the beautiful Pergola Gardens in Hampstead Heath. While looking for the outfit on John Lewis website, I came across the wedding guest collection.I just love the way they have placed importance on the wedding guests too because wherever you see the most concerned person is the bride while searching for wedding dresses. In this collection they have elegant jumpsuits and playsuits which can sometimes be the best option; they are truly effortless but still maintain to give you the classiest look. The flair of the spectacular jumpsuits they have can blind you; they can be an easy yet exotic choice for weddings. Apart from these, there is a huge list of other dresses which radiate due to their elegance and the intricate fabulous details of the fabric and design. 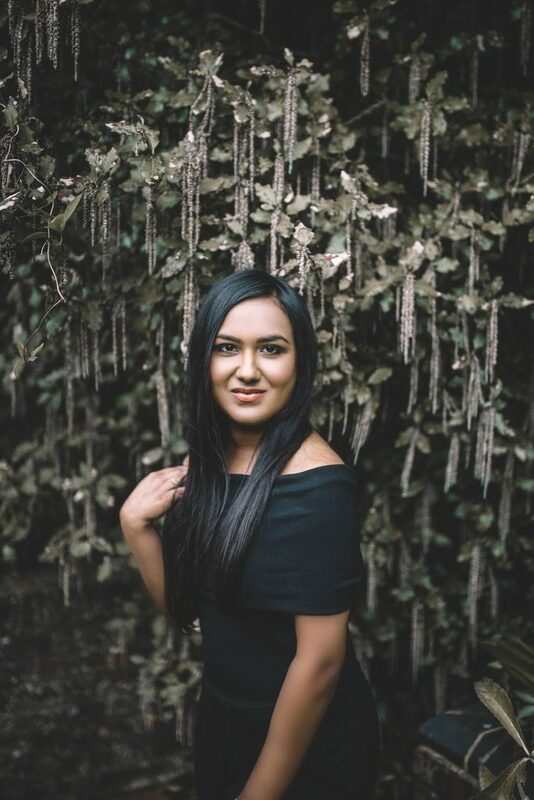 Whether your style is plain, classic, bold or spontaneous it all depends on how the dress makes you feel or how you find yourself in it and believe me you are going to love yourself in any of the outfit from the collection. I would love to share my experience, I, as my words imply, am tired of the flowers and pastels, I wanted a bold look, a look which is bold yet elegant and this was the time I came across John Lewis Guest wedding collection. There were a lot of items which just stole my breath and making a decision was the toughest. Finally, I decided to wear a jumpsuit the ‘Reiss Raffi off the Shoulder Jumpsuit, Black‘. This jumpsuit is masterfully rendered in giving the type of classy look every person wants. This off-the-shoulder piece has a simple yet sleek finish with long elegant legs in a wide fit and a slim-fitting bodice with fold-over style. Then to enchant this suit further, I crafted the whole look according to this masterpiece and once again I found the rich collection of bags and heels that would go perfectly go with this dress. For shoes I went with ‘Dune Cerys Two Part Cross Strap Court Shoes‘; residing in the mild stiletto heel, these shoes elevated my looks with the dress in a most ostentatious and extravagant way. For the bag, I picked ‘Carvela Darling Box Clutch Bag‘ which accentuated my glamorous look further beyond. Hope you liked the look and feel free to check John Lewis if you are looking for a wedding guest outfit. If you are a bridesmaid they also have a section dedicated to bridesmaids. So there is something for everyone. *This post was in Collaboration with John Lewis. I was not paid to write this post, I received the outfit as a gift and all opinions are my 100% my own. Bold looks can definitely be nice. 🙂 I think this outfit looks great. I love the shoes!! Love the look ❤️ However I will be mother of the bride next Easter and I don’t think my daughter would allow me to wear black! You are so beautiful! Love your hair! It’s kinda exhausting to decide outfits for theme weddings. Btw, you’ve got gorgeous hair Debonita.